These small monkeys (17- 30cm) have a black head, black shoulders and black front legs. Their back is dark brown and the back legs are brown or reddish. 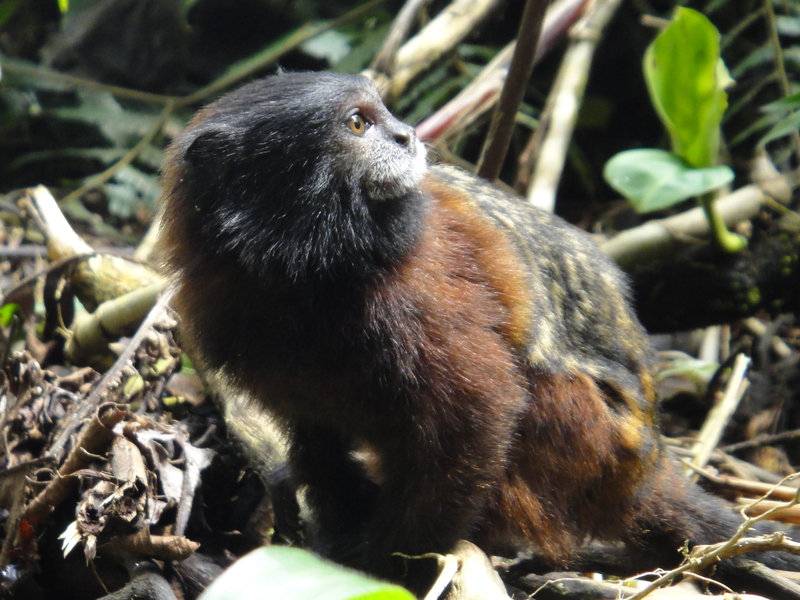 A typical sign of the saddleback tamarin is the white beard on it upper- and lower lip, that’s why these monkeys are called in Spanish „chichico labios de leche“ („milky-lipped-monkey”). These monkeys are diurnal and are hard to spot in the ramage of the trees. Sometimes you can hear them softly whistle or chirp. They are living in small families and are feeding on fruit, nectar and insects.